Rain from a powerful spring storm soaked the tri-state area Saturday, dousing some areas but largely sparing the tri-state from severe flooding on Mother's Day weekend. A good portion of Long Island and parts of Connecticut could see rain through Saturday night, but the storm was dissipating elsewhere as it moved north and east. By the end of the weekend, New York City and areas around the coast could get 2 inches or more of rain, Storm Team 4 said. Areas to the north and west can expect 1 to 2 inches. Some power lines were down in Hackensack and PSEG workers were on the scene. Fewer than five people were affected, PSEG said. 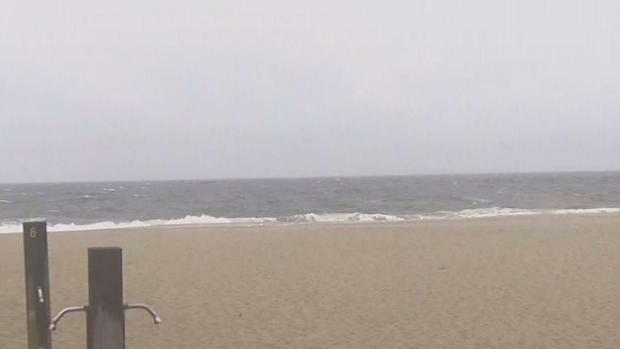 The Jersey Shore was expected to get the worst of a rainstorm on Mother's Day weekend. Rana Novini reports. The soaking caused delays at the airports. JFK reported a 220-minute delay and Newark had a 79-minute delay. Mother's Day isn't forecast to be quite as nasty, Storm Team 4 says, but lingering showers are likely. Lucky moms might even see the sun at times. The weather improves early next week, with temperatures reaching the high 60s Monday, moving into the 70s by Tuesday and hitting 80 by Wednesday. Some areas could even flirt with 90 degree temps on Thursdsay, which may be one of the hottest days yet in 2017.